Love it! My version is done except for the belt because I haven't found a buckle I like yet. I also found the top to be a bit blousey so I'll probably be adjusting that on my next version as well. I've sewn up a lot of Wearing History patterns so let me know if there's one you're interested in, I may just have sewn it up already! I've only ever done paper patterns from her so none of my reviews are up because she only has the e-patterns for sale right now. Thanks a bunch! I'll probably be doing that. I saw the overalls you did, and they were great! I'll check with you on a couple other ones when she gets them up! Also, I found the top SUPER blousey! I sized down, and I think it's just right for the kind of fabric I used and the long sleeve version. I think I'll do a muslin of the short sleeve version first, just to check the fit there when I get around to it. Great job! Making clothes that fit properly is not easy. Having a good pattern to work from makes a big difference. You've done a wonderful job and I think picked the perfect fabric for this project. Oh this is having me super excited to print out, work on, and review the Sports Togs!! 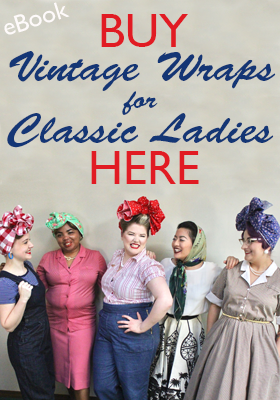 Your review for this pattern was very well written, so thank you for that! 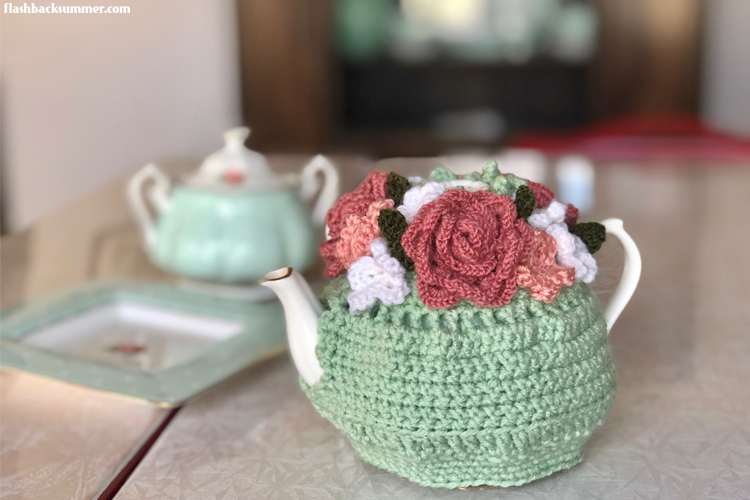 I think I want the Tea for Two pattern sometime down the line, it's so cute! Really enjoyable post, dear Emileigh. Not being a sewer myself, I kind of feel like I get to experience the process vicariously through detailed, informative posts such as these (which is really special). 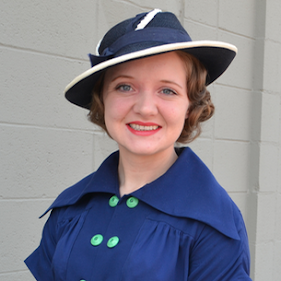 You did a stellar job on this 30s two-piece dress and look so wonderfully lovely in it! This dress looks great on you and I enjoyed reading all about how you made it. 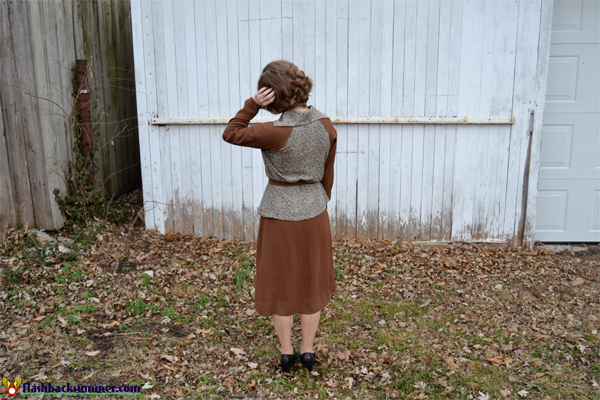 I can sew a little and really want to learn more and make some of my own clothes next year. What do you recommend starting off with? If you feel like that's a bit tricky, just email me. I'd be glad to write a little tutorial for you! Thank you. I forgot to say that it is making vintage-y clothes that I am interested in so you are completely right. 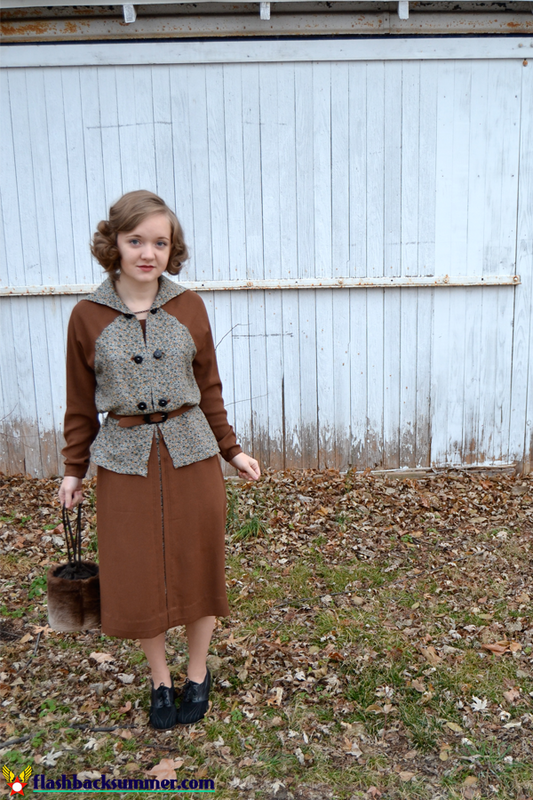 I knit myself vintage cardigans and I need things to go with them. A skirt sounds a very good idea. I will look at Stephanie's dirndl. If you ever write a tutorial I would definitely read it. I wrote this long comment and lost everything:P I wanted to say that I'm really glad that you posted the details about the construction and your adjustments. I also love the dart effect on your dress and the color blocking. Just lovely! I've used a bound button hole tool from Dritz and it sets in perfectly spaced center fabric but I've also seen a great tutorial from Gertie too. I spent some time trying to learn how to do them but I'm sure I'll have to take out the instructions again when I have to do them. I've also bought the vintage buckle kits from ebay but the problem with the packaged ones is that sometimes the belt has been folded so long in the package that it has some weakness areas but there are also vintage belting kits without the buckle that you can buy just the belt portion and these are really nice! Hmmmm, that's good to know! I figured out I can manage making the belt portion with fabric and belting, I just have trouble finding good buckles. I should be checking the inter webs more often for them though, definitely!